Intense Pulsed Light (IPL) is a non-laser, precise broad spectrum light generator that minimizes skin discolorations associated with accumulated sun damage and age spots on the face, neck, chest and/or hands. IPL helps reduce the look of vascular problems, such as rosacea. Hyperpigmentation and redness can be dramatically reduced with IPL treatments. IPL pulses can feel like stinging, similar in sensation to the snapping of a small rubber band against the skin. 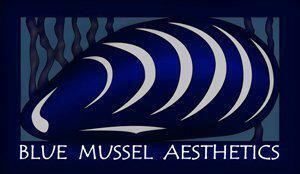 Blue Mussel Aesthetics also offers topical numbing and Nitronox (laughing gas) as pain relief options for an additional charge. It is possible to experience a few days of redness and swelling after the IPL procedure. Areas of pigment may turn a dark brown and slough off over 1-2 weeks. You can apply makeup immediately after IPL treatment if necessary.